Another year past and time to set some goals for the coming 12 months. Most people call them New Year Resolutions, words that, for the most part, are synonyms for worthless promises stated then forgotten about as quickly as yesterday’s lunch. So let’s call them goals, more professional and lasting words that, if put in writing and posted under a magnet on the fridge, will be somewhat more likely to have meaning. Guess what. Those are the exact words used in this column five years ago. Not much has changed since then. Take a look. In 2013 I wrote: My first goal is the first every year and that is to drop a few pounds. But I mean it this time. And just to prove it I’m planning on starting soon, maybe next Monday. If not, certainly by February or March. I’ve done pretty well the past two or three years, maintaining a fair weight just 30 or 40 pounds over the recommended weight for my age and height. Guess what. The only thing that has changed in five years is the position of my chest. In another few years it will set firmly on my belt. And to add insult to injury is that I’ve also lost one-half inch of height, which further violates the so-unfair height/weight chart. The same chart that we all are forced to stare at pasted on the door of our doctor’s exam room. The same room we sit alone in for one hour dressed in a flimsy paper gown with no back. 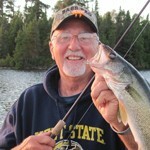 In 2013 I wrote: My second goal is to learn to catch bass. 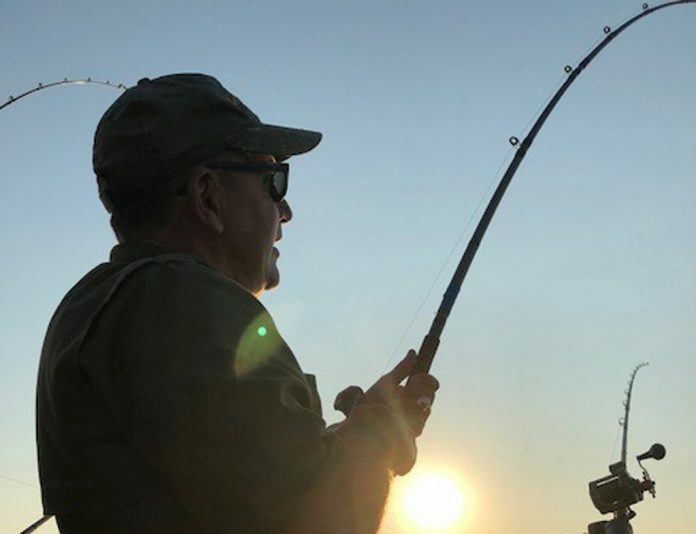 I’ve spent most of my angling life chasing walleyes, crappies and other pan fish but we’ve recently purchased property on a lake which offers excellent bass fishing. That means I can sit on the porch and watch others toss lures or I can join them. Maybe I should pay more attention to the TV fishing shows but they are so boring and so the same that I seldom dial them in. I have a real hard time following the script on most of the shows, possibly because I tend to start counting how many times the host says “that’s a good one” in each segment, a dialog that is designed to keep a viewer’s interest during the short pauses between endorsements and commercials. Not much has changed since that promise. Largemouth bass continue to elude me at about the same humiliating rate as ever. If it’s a tournament, I lose. If it’s just for fun, I lie and announce that it’s fishing, it’s fun, and catching fish is just an added bonus. Bologna. In fact, my new fishing focus for 2019 is to concentrate on catfish. I have come to understand that whiskered fish are less picky about who they hang with, which puts me in a pretty good place. In 2013 I resolved: Goal three is to shoot more. It is so easy to find things to do that I all too often put off an hour or two at the range just to do something like mow, paint, or produce actual work. That has to stop. Muzzleloader season is here and I haven’t shot my muzzleloader since missing a couple deer last January. What’s up with that? Before you start whining about my carelessness, I can report that I did clean the gun and store it properly, so back off. But things are different this year. We live in a condo now. No mowing, no shoveling snow, and no outdoor maintenance at all. So no excuses to not shoot more. I intend to fling more lead at flying discs of clay and punch more holes in printed bull’s eyes than ever. Rifle and pistol target shooting is just plain enjoyable as are the shotgun sports. Try one or all. Maybe make it a resolution.